Our debit card gives you the freedom you need. Call us today to add one to your account. Please call 570-342-2720 to let us know, so we don't put a hold on your debit card. Our debit card can be used almost anywhere. It's faster, more widely accepted, and safer than using a check. In fact, it comes with built-in fraud protection from Mastercard. 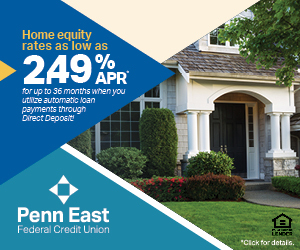 Plus, as a Penn East member, you'll enjoy access to numerous surcharge-free ATMs, both here in Pennsylvania and all around the US. Make convenient purchases or get cash when you need it, without worrying about extra fees.